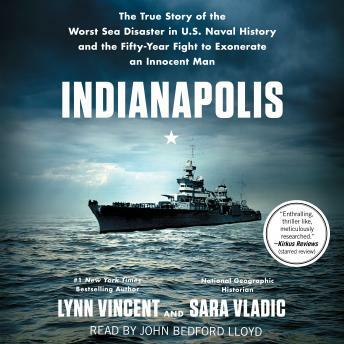 Listen to "Indianapolis: The True Story of the Worst Sea Disaster in U.S. Naval History and the Fifty-Year Fight to Exonerate an Innocent Man" on your iOS and Android device. As a lover of naval history, had read Abandon Ship, Fatal Voyage and thought I knew the story of the Indy even without the somewhat oblique reference in Jaws. But, what a very captivating treatment of a story that continued to play out long after the court-martial of its skipper in 1945. Would agree with others that it does present something of a challenge listening vs. reading, but well worth the effort to track the cast of characters presented over eighteen hours of very high-quality narration. Very detailed account of this tragedy. Likely a better read than listen. Hard to keep track of the many many characters.